Tempus will partner with NYU School of Medicine on a collaboration to uncover patterns in genomic data, with the goal of helping cancer specialists predict how their patients will respond to treatment. Through the collaboration, whose value was not disclosed, Tempus will structure and analyze data collected by NYU School of Medicine parent institution NYU Langone Health from approximately 500 patients with pancreatic cancer, and generate additional genomic data for an unspecified subset of those patients. One challenge resulting from a dearth of genomic data, say Tempus and NYU Langone, is the absence to date of “druggable” targets for genetic mutations commonly seen in pancreatic cancer. 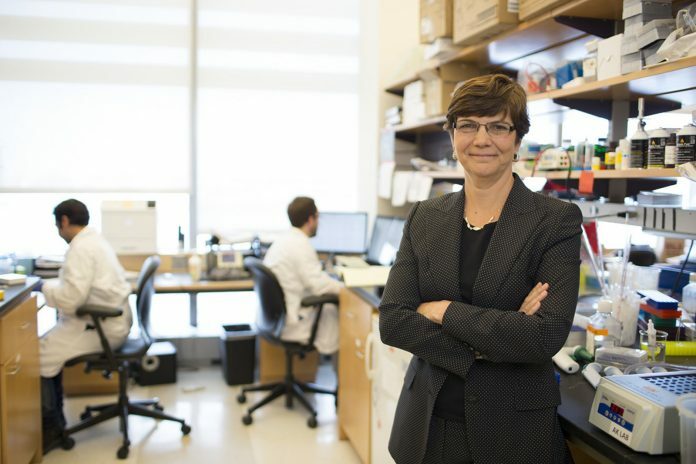 Tempus will work directly with Diane M. Simeone, M.D., associate director for translational research at NYU Langone Health’s Laura and Isaac Perlmutter Cancer Center and head of its Pancreatic Cancer Center, launched in July 2017. “Our partnership with Tempus allows us to incorporate breakthroughs in genomics and technology to drive discoveries that have real impact on patients diagnosed with pancreatic cancer,” Simeone said yesterday in a statement. Added Tempus founder and CEO Eric Lefkofsky: “Generating and analyzing the data may provide evidence for alternative treatment choices where patients have seen little benefit with the current standard of care. “It is likely that a combined analysis of the genomic and phenotypic patterns of pancreatic cancer will lead to the next big breakthroughs in this difficult-to-treat cancer,” added Lefkofsky, who is also cofounder and chairman of Groupon. Launched in 2015, Chicago-based Tempus is seeking to build the world’s largest library of molecular and clinical data, as well as an operating system to collect, sort, and analyze that data, to improve its accessibility and utility to physicians. NYU School of Medicine is one of several clinical collaboration partners of Tempus. Others include the University of Chicago Medicine and Biological Sciences (focused on breast cancer), University of Pennsylvania's Abramson Cancer Center (immunotherapies), University Hospitals Seidman Cancer Center (ovarian and triple negative breast cancer), University of Michigan (breast cancer, pancreatic cancer, and commercialization of U-M’s MI-ONCOSEQ cancer panel), and Duke University School of Medicine (brain cancer).